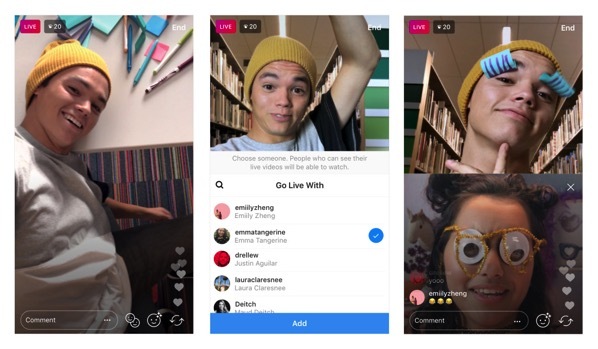 Whether you’re just doing homework or catching up on your day, you can now hang out and go live on Instagram together with your friend. While broadcasting a live video on Instagram, all you need to do is tap the new icon on the bottom right and tap “Add” to invite anyone who’s currently watching. Once they join, you’ll see the screen split into two and your friend pop up right below you. The feature lets you remove your guest and add someone else at any time, although they can also choose to exit on their own. 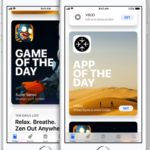 You can either share your live video to stories when your broadcast has ended, or simply choose “Discard” to make your live video disappear from the app as usual. When someone you follow is going live with a friend, you’ll see two circles stacked together in your stories bar. You can tap on it to watch, and like and comment as you follow along. Today’s rollout is part of the company’s latest update, which follows a limited test that Instagram started in August to smaller groups of users. For now, you can only add one person in at a time and you need to remove that person to add in another. To learn more about the new feature, check out the Instagram Help Center.